When you first learned that your new home or business had a fireplace, you probably imagined cheery fires in a traditional fireplace. Although there are many varieties of fireplace mantels, the traditional mantel remains the most popular because it is an iconic symbol of home and family. 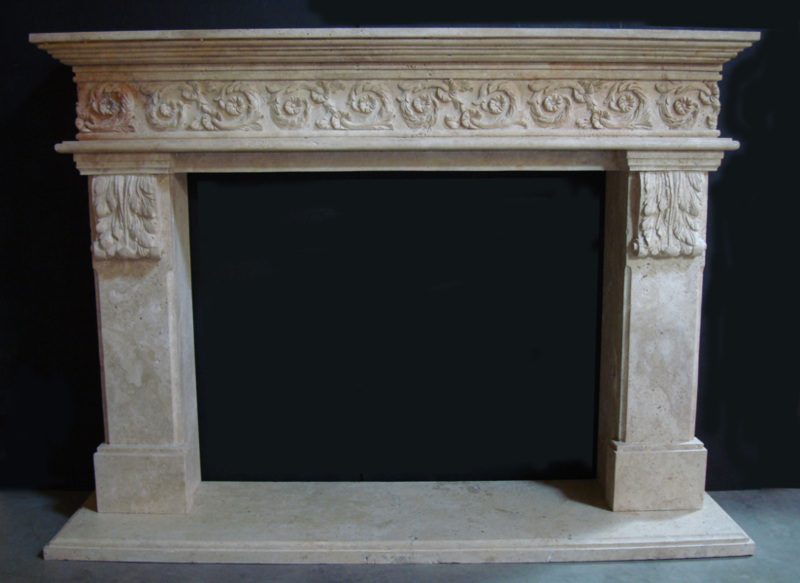 SoCal Fireplace Mantels is your first choice for traditional fireplace mantels. The traditional fireplace mantel can come in a variety of designs and materials, but all traditional mantels have some characteristics in common. Traditional mantels tend to have a square shape with a top ledge that extends beyond the sides of the fireplace. This ledge is wide and spacious to allow you to place a mantel clock, collectibles, or even holiday cards or stockings. If the mantel has carvings or decorations, they tend to be squares and clean, straight lines with right angles. The mantels can be made from any number of materials, from clean, white marble to dark granite and everything in between. If you are interested in a traditional fireplace mantel for your home, visit our showroom or call to request a full color catalog to review in the comfort of your own home. Our knowledgeable sales associates are happy to help you select the ideal traditional fireplace mantel for your home or business, or to help you design a custom fireplace mantel in the traditional style. Be sure to also take a look at our precast architectural products. We have dozens of designs, ranging from statues to benches, gazebos, columns, and even fountains. We also sell a full selection of fireplace accessories, allowing you to coordinate the accessories with your fireplace mantel.